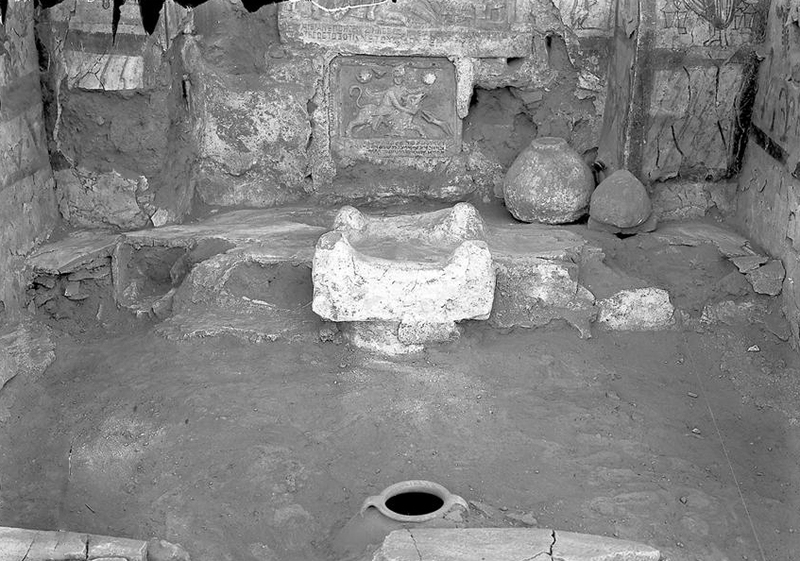 A Mithraeum was excavated by the Yale University Expedition to Dura Europos, Syria. Photographs from the archive of the Yale Art Museum. 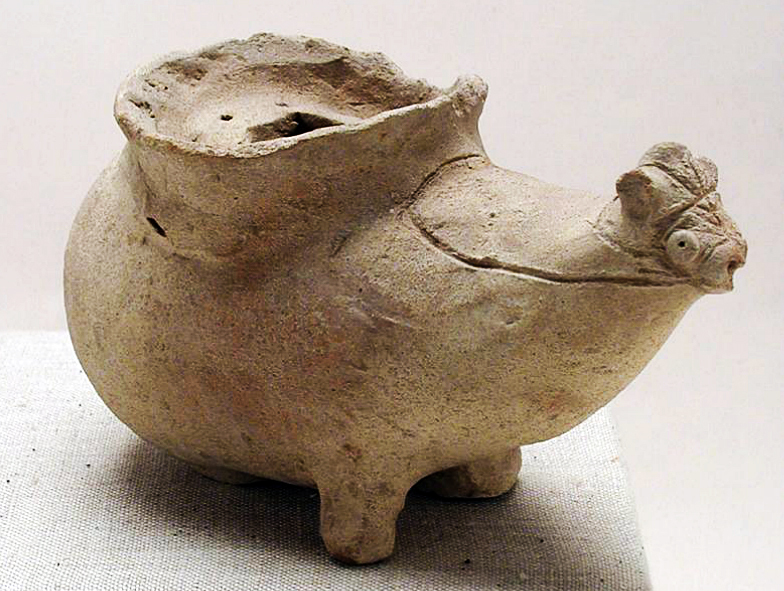 Click on a link to see art and artifacts related to the worship of Mithras at the site of Dura Europos. Latin inscription no. 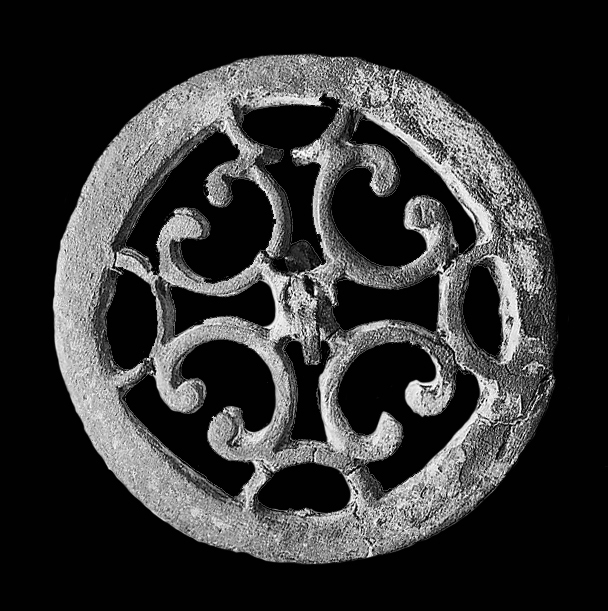 847 inside on a tabella ansata from the Mithraeum of Dura Europos. The inscription measures 65 cm in length and 33 cm in height. It was discovered as fragments in the fill of the Mithraeum. The name and title of Geta was carelessly erased, but can still be recognized. Rostotzeff (1939:85) suggests that the name of Geta was erased after he was murdered by Caracalla in AD 212. 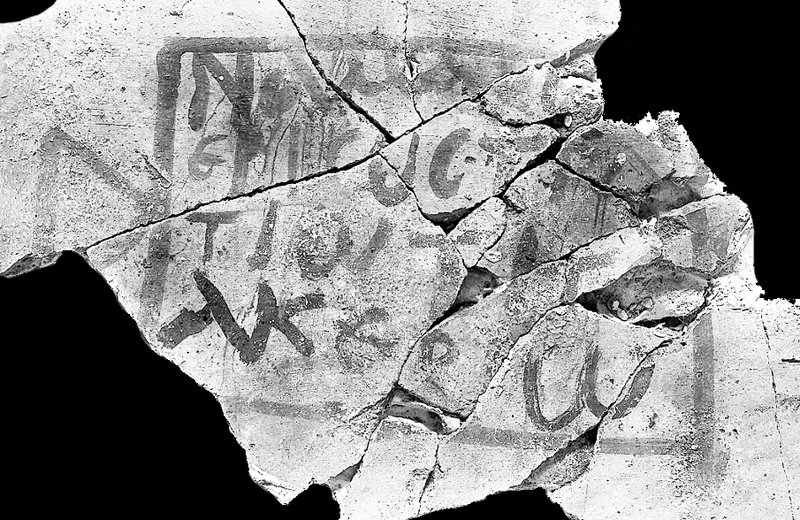 The inscription names detachments of two legions, vexillationes of the IV Scythian and of the XVI Flavia Firma as responsible construction of the inscription (and the Mithraeum?). SCYT(HICAE) ET XVI F(LAUIAE) F(IRMAE) P(IAE) F(IDELIS). Rostovtzeff et al. (1939:85, Plate XLIX.1) and Francis (1975:428). [Yale University Art Museum Archives]. 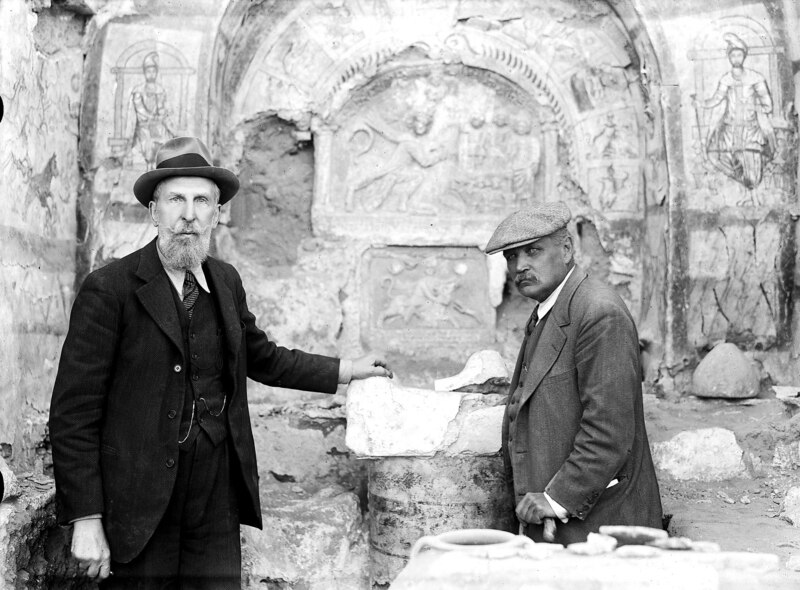 Franz Cumont (left) and Michael Rostovtzeff (right) during the 1933 - 1934 field season of excavation of the Mithraeum at Dura Europos. [Yale University Art Museum Archives]. The image was published by Hopkins (1979:198a). Plane table mapping of the Mithraeum before it was disassembled. [Yale University Art Museum Archives]. An Arab workman poses at the first column exposed during the removal of fill from the interior of the Mithraeum at Dura Europos. [Yale University Art Museum Archives]. 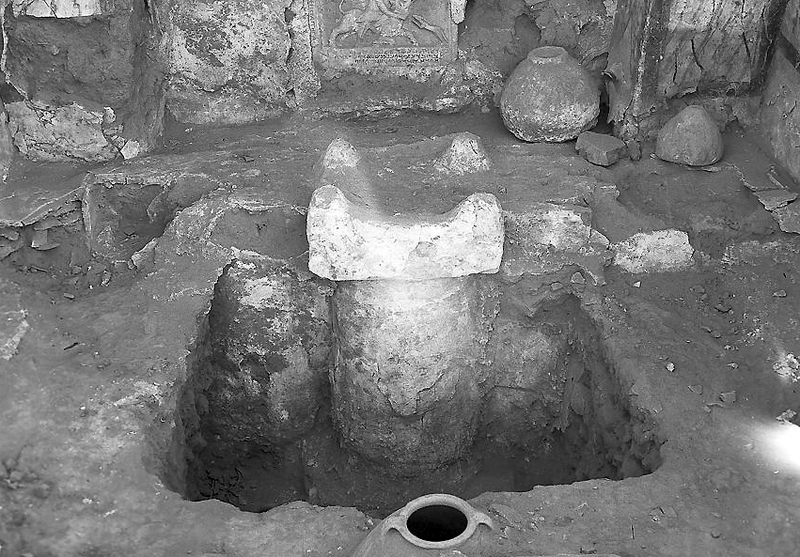 Removal of fill exposed the "Late" phase floor (altar and religious art) of the Mithraeum at Dura Europos. [Yale University Art Museum Archives]. 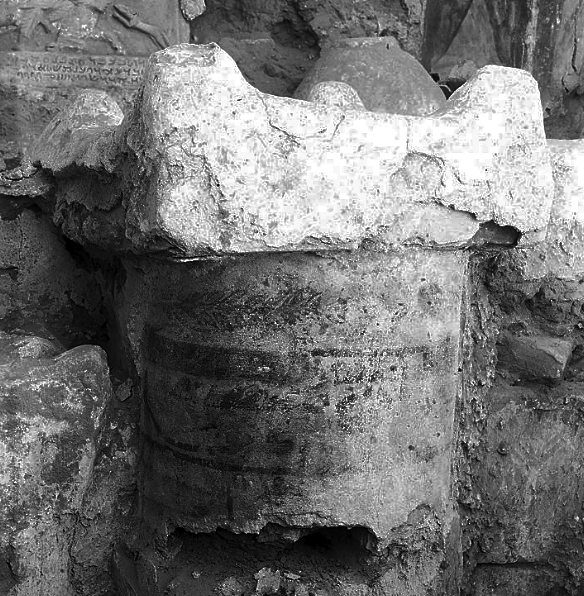 Probe against the altar found the remains of two smaller altars of molded form that originally had square tops. 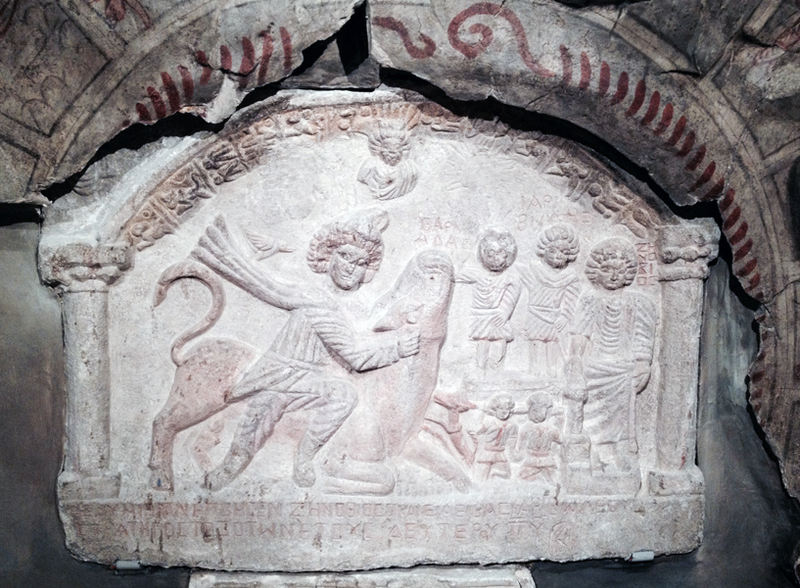 of the Mithraeum at Dura Europos. [Yale University Art Museum Archives]. Removal of the "Late" phase discovered approximately a half meter of fill and the original footing of the altar. Painted taeniae (a narrow fillet or headband for the hair) can be seen along the shaft of the altar of the Mithraeum at Dura Europos. [Yale University Art Museum Archives]. Artist interpetation of the painted taeniae on the shaft of the altar the Mithraeum at Dura Europos. [Yale University Art Museum Archives]. Removal of the "Late" phase discovered approximately a half meter of fill and the original footing of the altar. Painted decoration can be seen along the shaft of the alta of the Mithraeum at Dura Europos. [Yale University Art Museum Archives]. 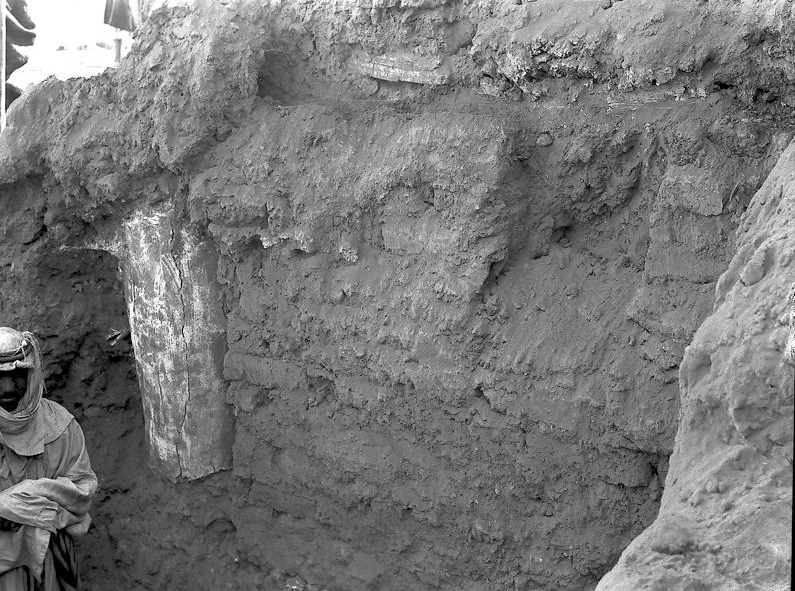 Broken "Early" phase columns discovered in the fill below the "Late" phase floor. 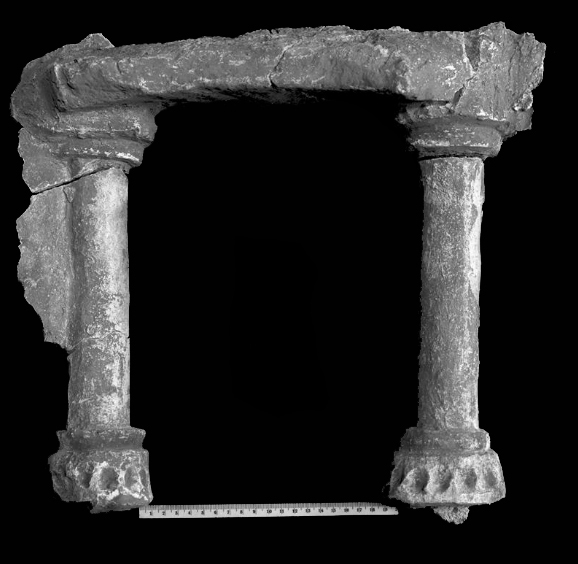 They appear too small to frame a doorway, but may have framed a window or window-like features inside the original Mithraeum. [Yale University Art Museum Archives]. Rostovtzeff, M. I. et al. 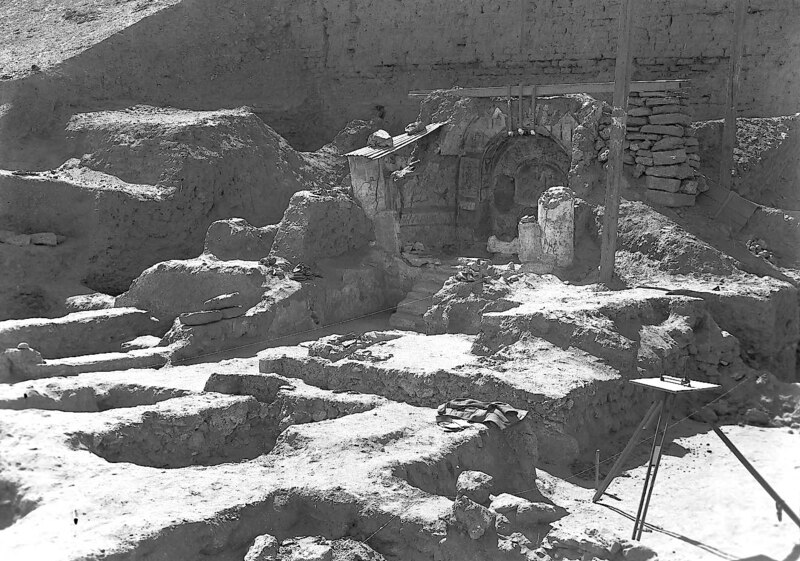 1939 The Excavations at Dura Europos - Preliminary Report of the seventh and eighth seasons of work: 1933 - 1934 and 1934 - 1935. Yale University Press, New Haven.